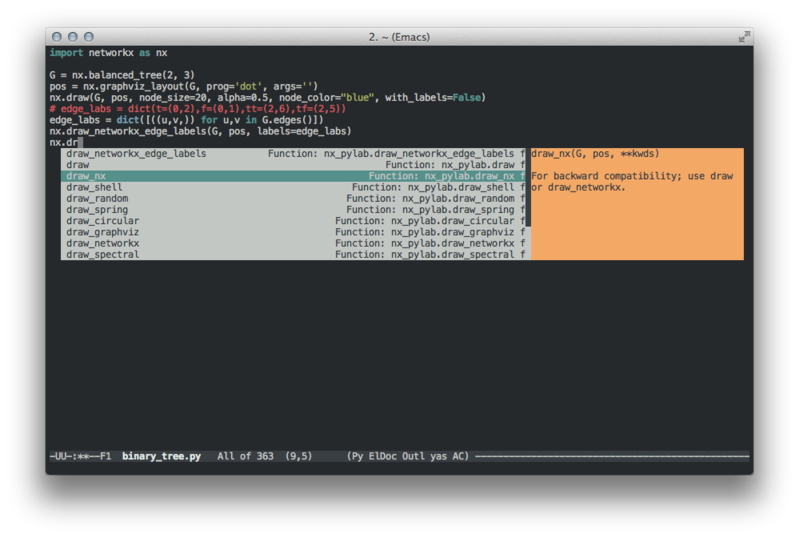 Here are some notes on how to enable auto-completion for Emacs. I already have auto-complete installed and enabled for some major modes. 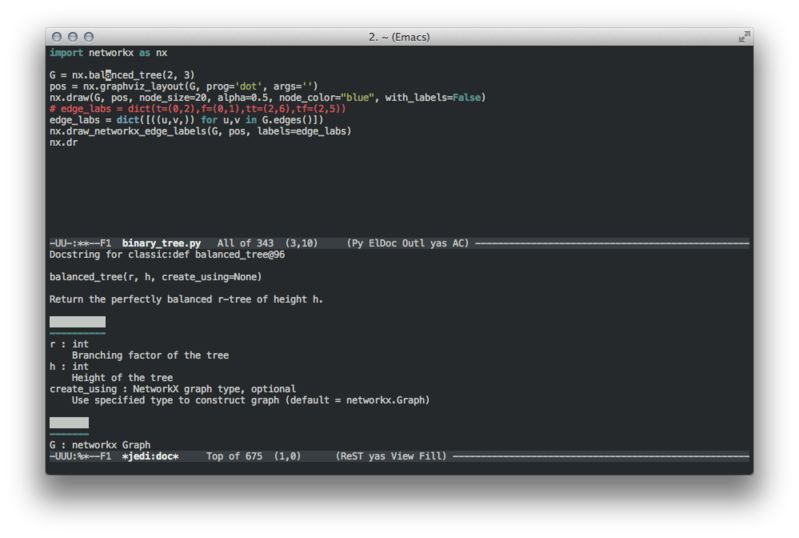 Together with other goodies from ess or yasnippet it really makes life easier when working with R code. I seem to be able to send Python code to IPython, though. 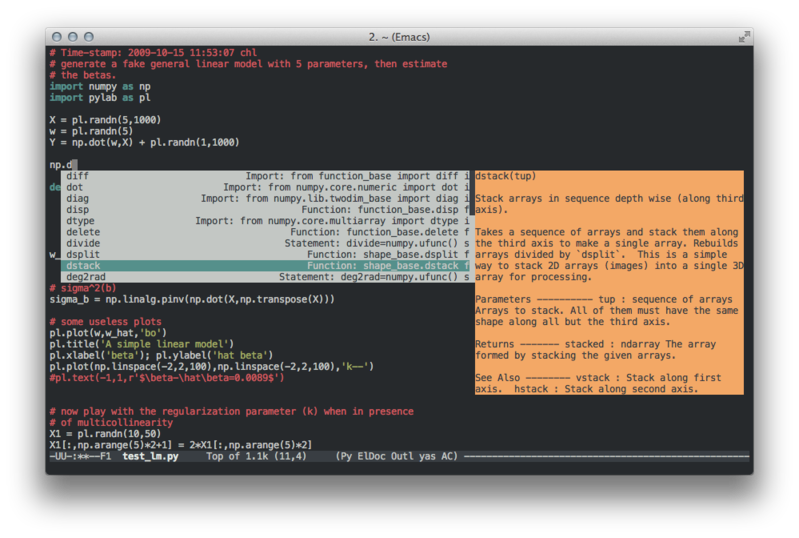 a Python auto-completion package for Emacs. It aims at helping your Python coding in a non-destructive way. It also helps you to find information about Python objects, such as docstring, function arguments and code location. Installation instructions are dead simple. However, instead of using el-get, I installed everything by hand. Below are some screenshots of jedi.el in action. On a related point, I took advantage of those updates to update my nrepl package for Clojure and install ac-nrepl which also comes with handy autocompletion and doc (C-c C-d) support.